It was a hard earned win at that. 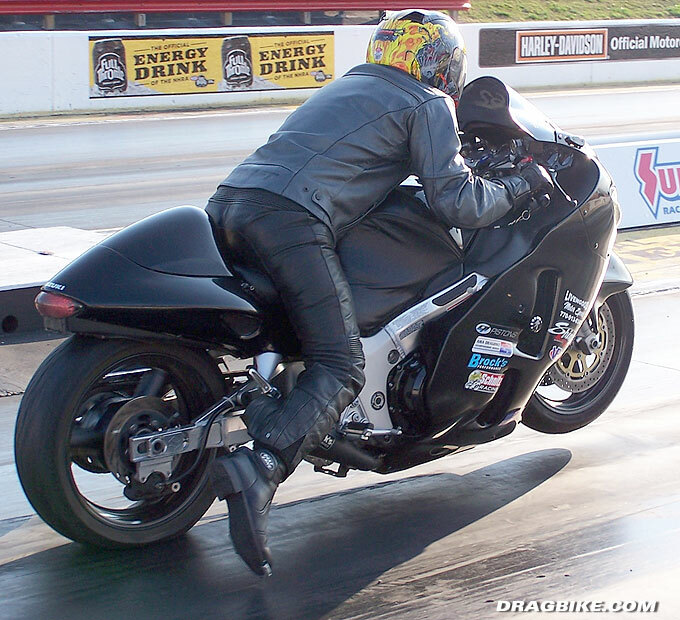 The competition at Atlanta Dragway is stiff, consisting of last year’s Summit Champion Tim Sutton, Jimmy “Cha Cha” Heisler who is quite possibly one of the best foot shifting ZX600 ET racers in the country having won two first place finishes in the AMA Dragbike Pro ET class on a sportbike as well as taking the AMA Dragbike Street ET Championship in 2009, Don Chavous, Howard Bowman, Brian and Michael Wilson, and “J-Bird” Rhyne 5 time Wally trophy winner as well as a 5 time Atlanta Dragway track Champion. Tlapa’s consistency on the tree along with landing on his dial in of 9.62 was the armor everyone had to try and put a chink in. In back to back rounds Michael at one point had a .003 light followed by a .004, his worst light of the day was a .024. In the semi-final round he put “J-Bird” on the trailer with a holeshot win. Going to the finals he went up against SEMDRA racer Roman Guillermo who had a late reaction time giving Tlapa a comfortable lead from the tree. Tlapa thanks his wife Ciji for allowing him to race, considering he had a graduation to attend for his niece Taylor South on the day of the race. 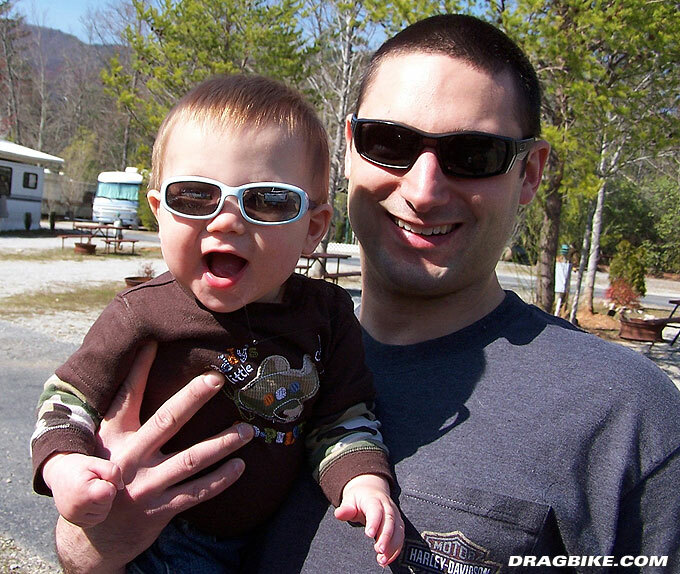 (He told Taylor he was going to win for her…) He thanks his son Caden for being a good luck charm. He would also like to thank Brian and Shiela at Livengood Motorsports for the intake cam mod, rear shock, and dyno tuning the bike to perfection. 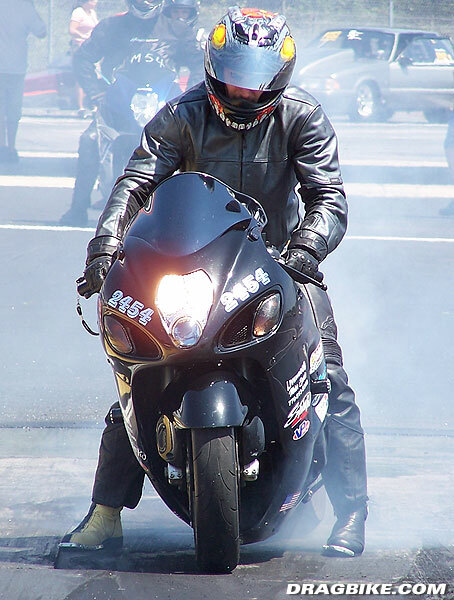 (Livengood Motorsports has four bikes carrying the Livengood banner at Atlanta Dragway for the Summit Racing Point Series this year.) And finally Brock Davidson of Brock’s Performance for the Alien Head exhaust system, clutch mod and lowering straps.